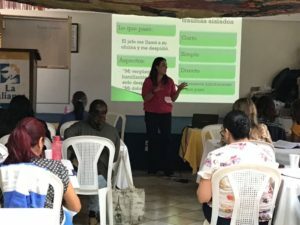 Flor María de Palencia and Ruth Cordova, both Psychologist and AIT Therapist, taught in Guatemala City the AIT Fundamentals Seminar for 35 psychologists, who are working with survivors from the volcanic eruption in this country. 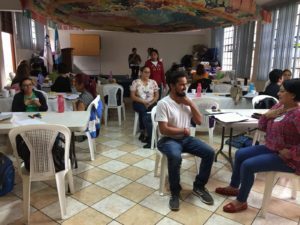 Many of this Therapists already provided treatment to survivors with nonprofits organizations to support and help the people of Guatemala with their loss and grief. 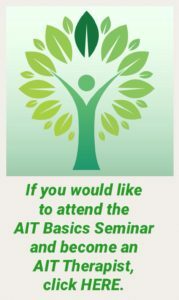 The AIT Fundamentals is considered a simplified but very effective form of trauma treatment. 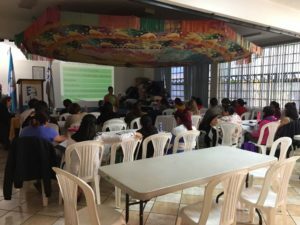 The Seminar was in “La Alianza” who donated their space, in Guatemala City, and the seminar was taught in coordination “Brigadas Abrazos del Alma” organization. The AIT Institute has been working with the Humanitarian Aid Program for many years, to give trauma relief and help people who are living difficulties and trauma situations. AITI is always looking for new humanitarian projects. We want to help people resolve their traumas and replace it with peace, love, and positive beliefs and qualities. 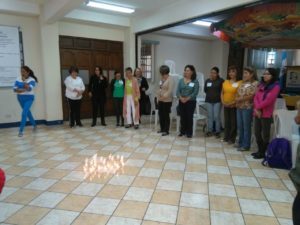 Click HERE if you want to read more about the AIT work in Guatemala. Visit our page in GOFUNDME and DONATE. It’s easy. Any donation can help. Call to action goes here. Sign up to receive AIT news & events.